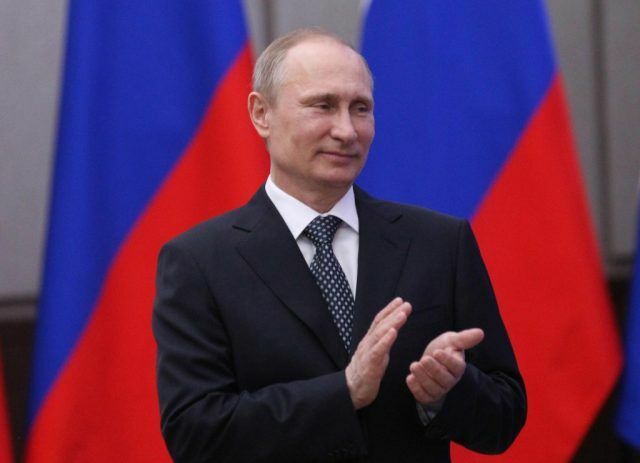 Whether you love him or hate him, Russian President Vladimir Putin is one of the world’s most formidable leaders. His masculine strength has caused French President Emmanuel Macron to boast of his intentions to create a European Union military force in order to challenge Russia and other non-globalist world powers. “When I see President Trump announcing that he’s quitting a major disarmament treaty which was formed after the 1980s euro-missile crisis that hit Europe, who is the main victim? Europe and its security,” Macron said, as reported by Agence France-Presse. But Putin is not scared. In fact, he is egging on Macron to pursue this path. “Europe is a powerful economic entity, a powerful economic union and it is quite natural that it wants to be independent, self-sufficient and sovereign in matters of defense and security,” Putin said to RT television. Macron’s comments also caught the ire of US President Donald Trump. As Putin is well-aware, the bankrupted and collapsing European nations cannot fund their own defense. They cannot keep their borders secure. They cannot keep their women and children save from third-world foreign invaders. The idea of the EU creating a military that would challenge the world’s biggest, baddest powers – namely, Russia and the United States – is completely laughable. Trump is right that the European nations are freeloaders, relying on US military might to protect themselves while they live it up and bankrupt the West due to socialism. However, Putin is right to play it cool. Macron could never achieve an EU army, and would only hasten the demise of his own regime as well as his globalist project if he actually attempts this desperate overreach.